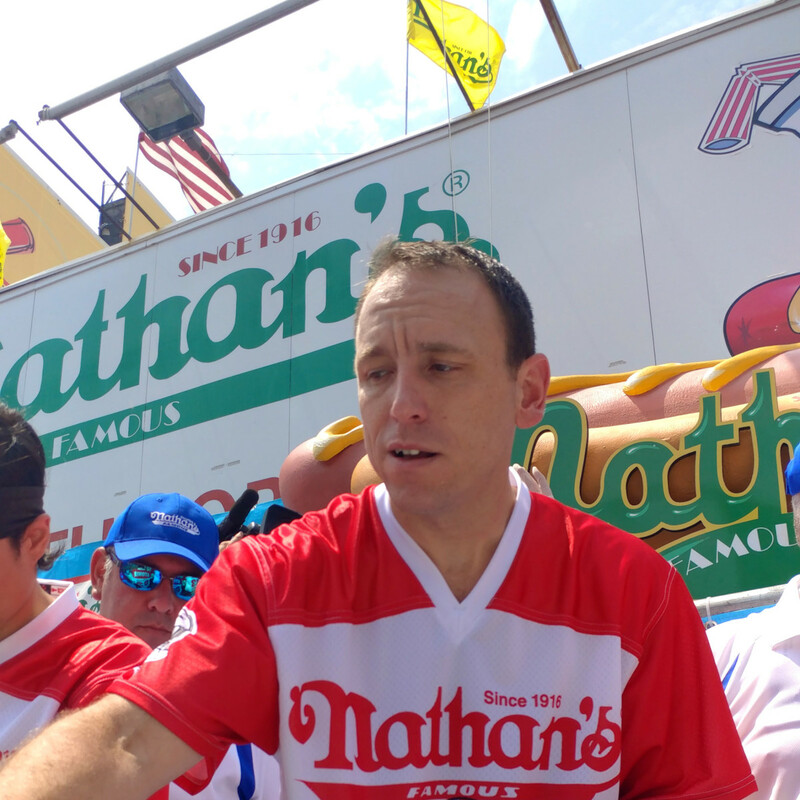 Now that the dust has settled from the great Hot Dog Contest Scandal of 2018, let's settle the score on Joey Chestnut's final count — 74 hot dogs and buns — and exactly what happened that caused judges to originally report the champ's total at 64 franks. I ought to know. 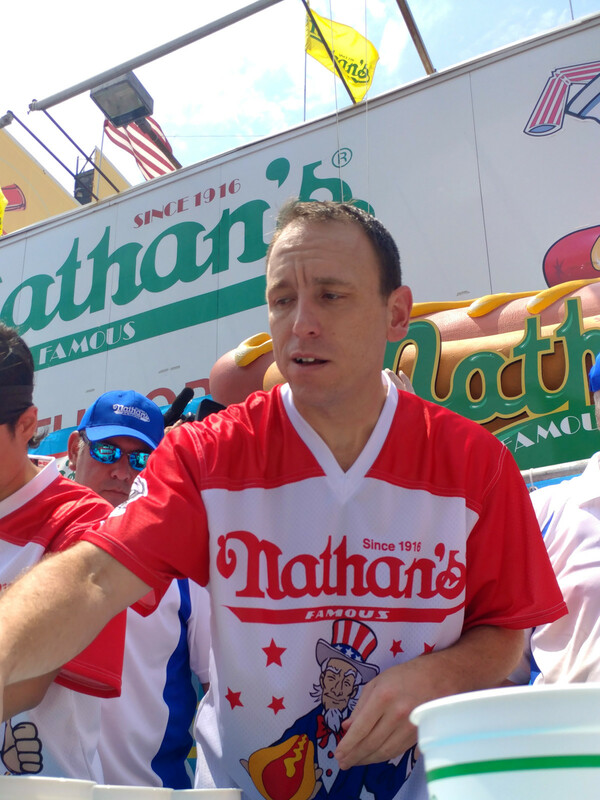 I was one of Joey Chestnut's judges, stationed practically nose-to-nose with the legendary competitive eater during the carnivorous July 4 tradition. Only a narrow table piled high with hot dogs separated us. 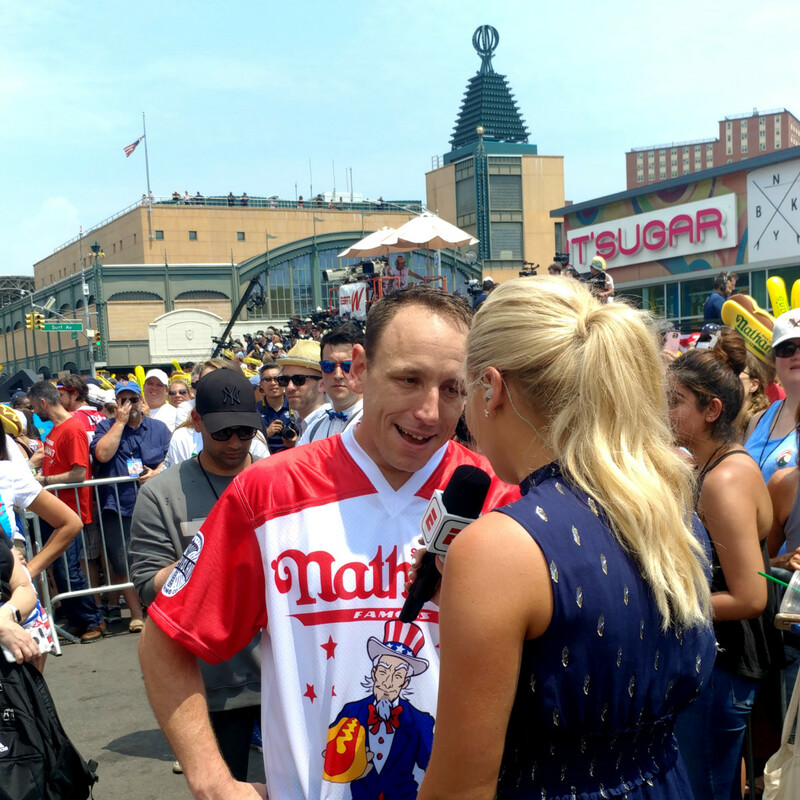 My role was to hold up the scorecard that would keep 50,000 people jammed into the corner of Surf and Stillwell in Coney Island, plus one million more watching on ESPN, informed of Chestnut's running total. There's no denying: my judging partner and I got it wrong. We screwed up. Big time. 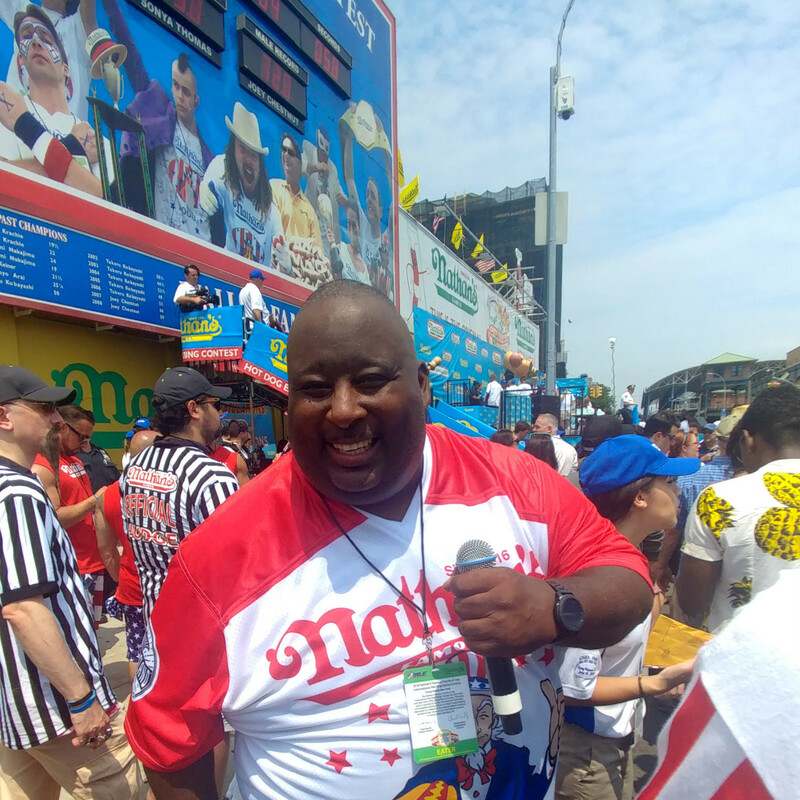 We short-changed Chestnut by 10 "HD&B" (hot dogs and buns) while his true count was 74, a new Major League Eating, Coney Island and world's record. Before ESPN signed off the telecast, the accurate total was announced. Chestnut was awarded the Mustard Yellow Belt signifying hot dog dominance and his arm was raised in victory. That didn't prevent me from facing a week of math shaming, vilifying, and good-natured (some not so good-natured) ribbing. I was grilled on the "Elliot in the Morning" radio show in Washington, D.C. I’ve known host Elliot Segal since he started his career as an intern on John Lander’s Q-Morning Zoo show in Houston. I used to write trivia questions and bits for Lander, and we covered the crumbling of the Berlin Wall live from Germany together. I was interviewed on John Granato’s morning show on ESPN 97.5 FM in Houston. Granato mostly questioned my ability to count. For one day, Granato turned his sports talk show into Sesame Street. It was funny, and I had it coming. I was interviewed on another local station, live from Twin Peaks on Kirby. Didn’t know there was mandatory $5 valet parking at Twin Peaks after 3 pm. Seriously? Come on, it's a chicken wing joint. The highlight of my media blitz was an appearance on "Fink Beats the Stomach," a bi-weekly podcast dedicated to competitive eating, hosted by the “Fink Brothers” Mike Sullivan and James Splendore. (It's posted now, Google it to find a link.) Unlike the Granato show, these guys were more interested in what happened July 4th, less my arithmetic shortcomings. If you’re wondering about the podcast's name, "Fink Beats the Stomach" is an homage to the hot dog eating scene in Bill Murray's summer camp comedy Meatballs. I took bit of an unfair beating on Twitter from a former competitive eater who claimed I don’t pay attention during eating contests. Like the Billy Joel song, I am an innocent man. Even Chestnut backed me with a tweet saying absolutely, I pay attention. And I do. It's the most intense 10 minutes of my year. This was my 11th time judging the Coney Island contest, and I’m usually assigned the top eaters. I am the dean of counting hot dogs. In fact, I’ve now judged an unprecedented seven July 4th champions in a row. 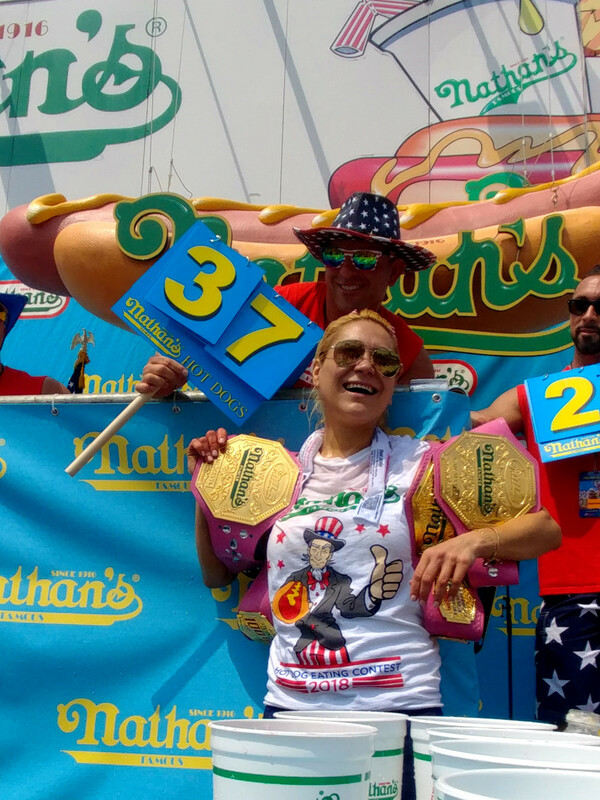 I counted Matt Stonie’s hot dogs in 2015 when he took the title from Chestnut. Some call it the greatest upset in sports history. I counted Chestnut’s dogs in 2016, 2017, and 2018, plus I counted women’s champ Miki Sudo’s dogs in 2016, 2017 and 2018. That’s a 7-peat that will be never duplicated in competitive eating judging. There was never a problem until the hullabaloo this year. You can’t count what you can’t see. 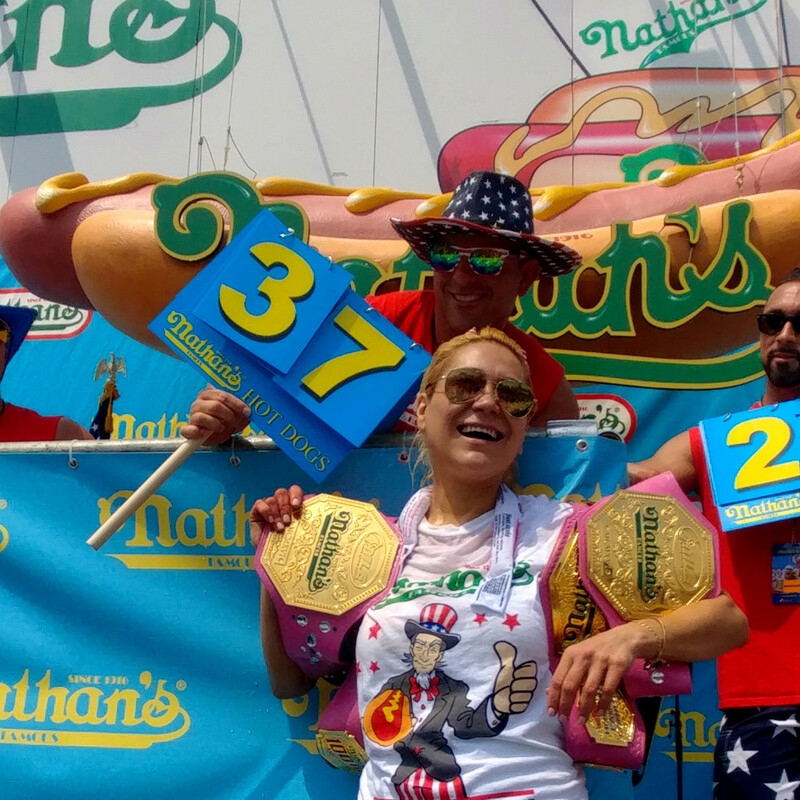 Two people are assigned to “judge” each of the competitive eaters at the July 4 Super Bowl of Competitive Eating. 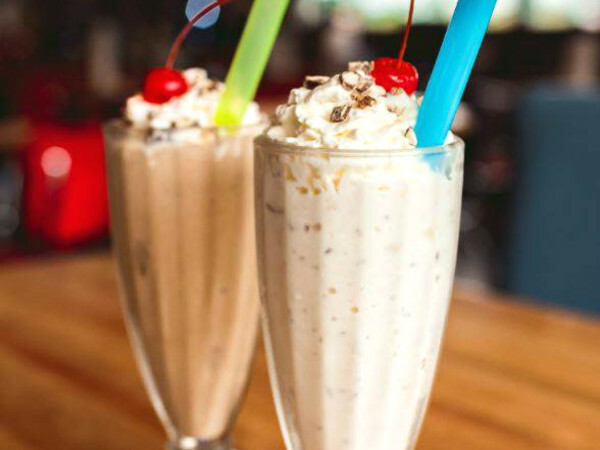 Generally speaking, but especially when a contestant eats as fast and furiously as Chestnut, one person is the main counter, the other flips the scorecard numbers. I was the flipper this year. My partner was the counter. When we took our positions in front of Chestnut, we sensed that the judges’ platform was lower than in years past. The contest started with a mountain of 30 hot dogs on five plates stacked in front of Chestnut. I told my judging partner, when we get on the platform, put your elbows on the table, so nobody can squeeze in front of you. Two years ago, I had to peer over an ESPN person who weaseled his way in front of me. This time, the ESPN guy was behind me, holding a tablet keeping score of Chestnut's hot dogs. 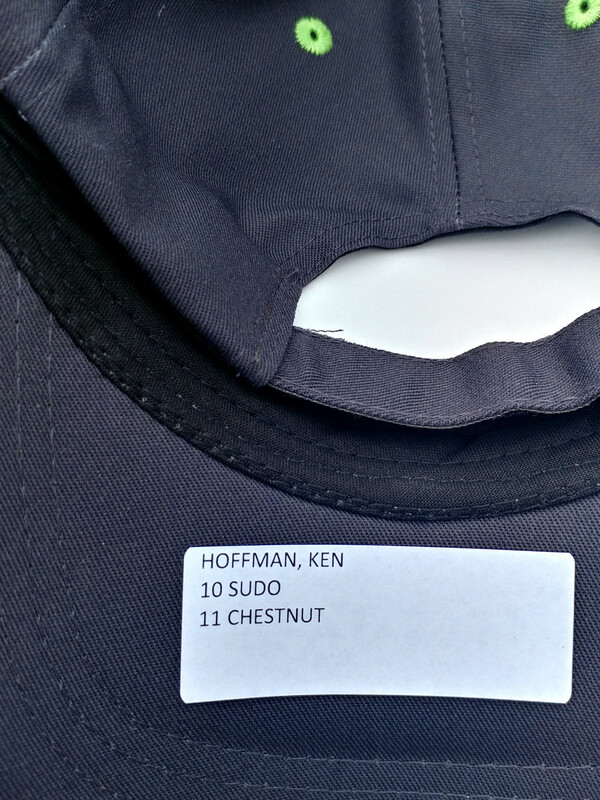 He asked me, each time I flipped the scorecard number, please turn around so he could relay the count to ESPN announcers on a stage about 50 feet away across the street. To my right, an ESPN camera person was jostling for position, leaning into me, tightening my space. 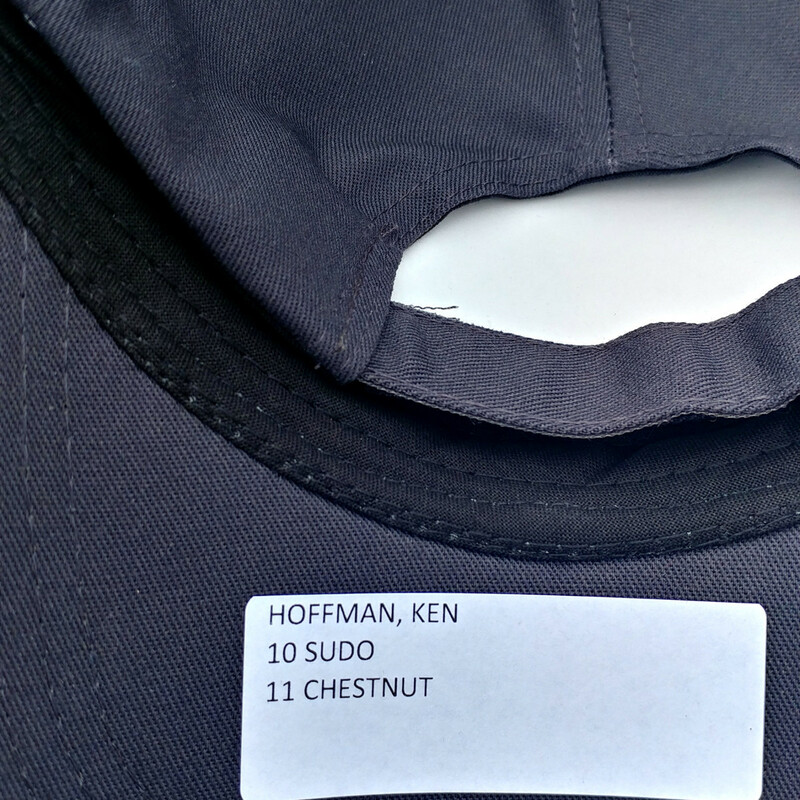 Then there was Chestnut’s “coach” screaming at the top of his lungs into my ears, “You got this, Joe!” He made the drill instructor from Full Metal Jacket sound like a Seinfeld low talker. There were five people crammed into the space of a telephone booth. Each time Chestnut dunked a bun into a Big Gulp-sized cup and squished out the water, I was spritzed with bun juice. Because my job was to flip scorecard numbers, and turn to show the ESPN guy, no way could I accurately count Chestnut’s hot dogs. Take your eyes off Chestnut for a moment and you may miss a hot dog going down. 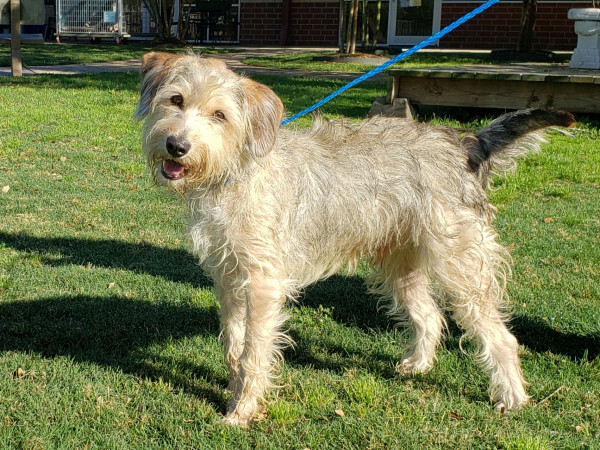 He doesn’t eat like a normal person who takes a bite, chews, talks with a buddy, has a sip of water. Rather he grabs two hot dogs, separates the franks from the buns, and stuffs the dogs into his mouth in a feeding frenzy. It's a violent motion. I once asked Chestnut if he chews the hot dogs. He answered "minimally." He dunks the buns one at a time and shovels them in. It’s wet ‘n’ wild and not pretty. Even if you stare at him, fully focused without blinking, it’s difficult to track how many dogs he’s eating. Two minutes into the contest, I suspected that our score might be wrong, but what could I do? This isn’t the NBA where referees can stop play if the clock isn’t working. 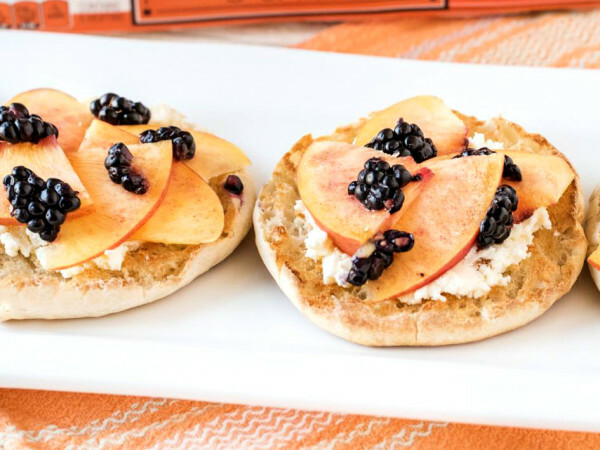 There's no do-overs in competitive eating. By the time I felt “uh-oh,” Chestnut had already downed about 20 hot dogs and buns, although my scorecard reflected half that many. "Worst judging ever I've ever seen." Well, at least he could see. My judging partner and I missed Chestnut’s count by 10 hot dogs. That was a horrible blunder. What you didn’t hear on the ESPN telecast, the judges next to us had runner-up Carmen Cincotti finishing with 45 hot dogs. He actually downed 64 hot dogs. At least that was Cincotti's official total. I’ve watched a replay of the contest several times. I think he ate 66 hot dogs. My lingering regret from July 4 is that I was part of diminishing Chestnut's achievement. Because of my job, I’ve gotten to meet incredible people — celebrities, famous athletes, presidents, Broadway stars, a former Beatle. Chestnut is right at the top of my list of favorite people. To let him down like I did, whether it was my fault or not, really upset me. I also felt for my judging partner, who apologized over and over directly to Chestnut and emcee Shea after the contest. Something else made the counting blunder even riskier business. Las Vegas casinos took bets on the hot dog contest. 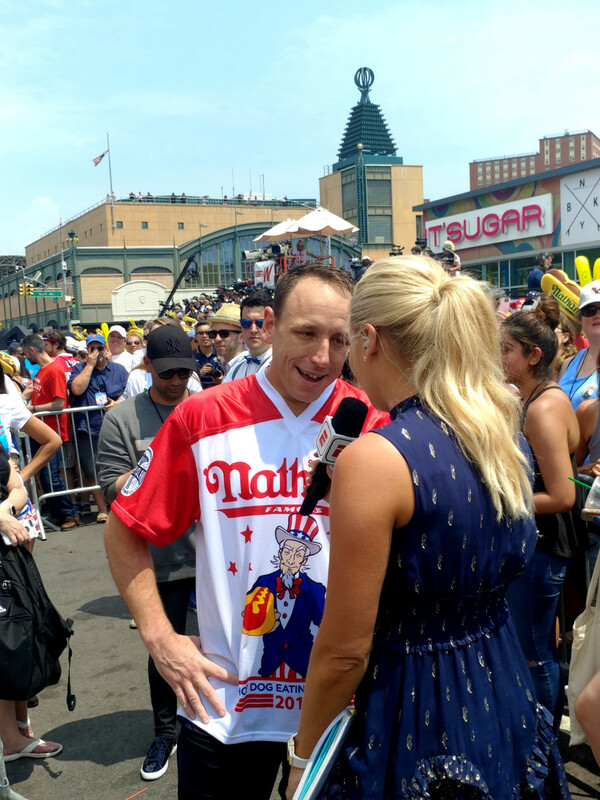 Oddsmakers set the over/under number on Chestnut’s count at 72-and-one-half hot dogs. When the contest ended, I was holding up “64,” meaning those who bet the under thought they won the bet. When the total was corrected to 74, those who bet the over won. When you goof up and Vegas money is affected, that’s when you get a knock on your door. I wondered if I'd have to wear a giant sombrero and fake mustache the rest of my life. Just don't compare my miscount with Steve Harvey’s blunder at the Miss Universe Pageant and Warren Beatty and Faye Dunaway flub at the Academy Awards … the rightful winner was announced at the hot dog contest. A mistake was made, but there was never a question of who won, only by how much. Here's something you didn’t see on the ESPN telecast. In the women’s division, Sonya “The Black Widow” Thomas — the Babe Ruth of women’s competitive eating – was disqualified for a “reversal of fortune,” which is exactly what it sounds like. If that weren’t enough, she tried to hide her violation by … you really want to know? 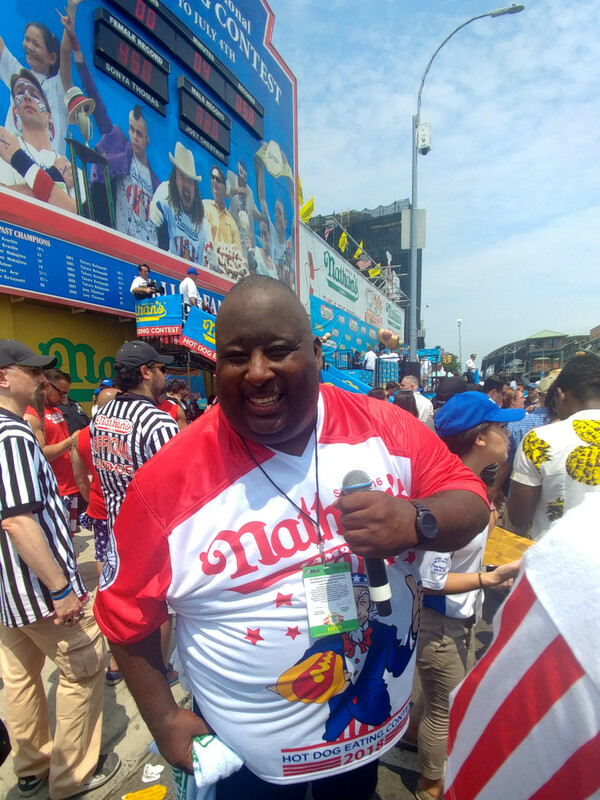 Now I’m hearing that Major League Eating is considering electronic or computerized scoring of next year’s July 4th contest. Absolutely that’s what needs to be done. And I’ll be watching on TV. Share your sympathy or vitriol with Ken on Twitter.